Entertaining at home is stressful enough, party hosting during the Holidays can make you want to curl up in a fetal position with a gallon of eggnog (and a straw). There is a tried and true secret to keeping your guests happy and your sanity in check: karaoke! From your shyest cousin to your diva-est friend, no one will resist the sweet siren song of the karaoke mic! Trust us; there won’t be any time for family feuds over politics, your dating status or the overcooked turkey while everyone is happily singing their hearts out! 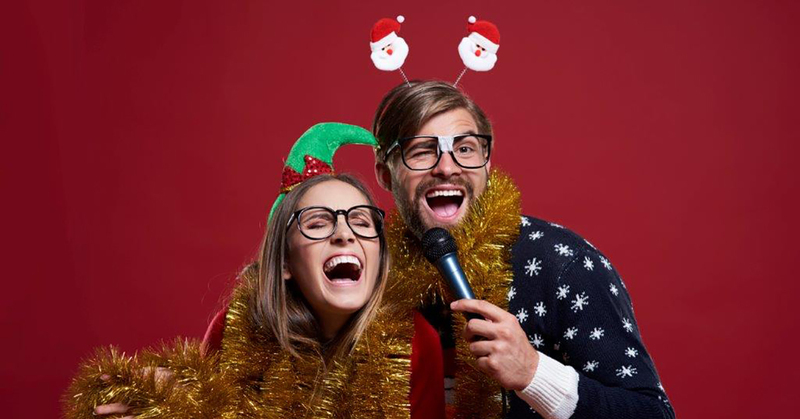 Nothing beats karaoke to work up an appetite for another piece of fruitcake, ring in the New Year, or keep the kids merry while they wait for Santa. Beware, if you follow these easy tips, everyone will ask for an invite next year! Pour beverages. Lots of ‘em! *Stingray Karaoke has thousands of tracks to choose from including Christmas songs to keep the fun going till New Year’s and beyond.